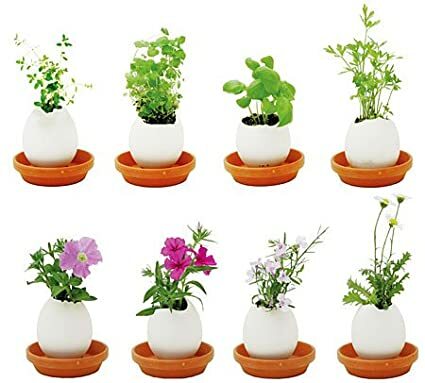 Egglings are adorable little seed bombs that make it easy to grow your own herb garden. Simply crack the little egg, add some water, and start planning your next plate of pesto pasta. Or at least that is the concept. Growing basil within eggs may not be what it’s cracked up to be. To me it was a waste of money time and resources. DO NOT BUY. Get a plant from a florist or even from Home Depot- it’ll be better than this piece of crap.